Judith Viorst has enjoyed a full career of writing for newspapers and magazines while publishing a number of children’s books (both prose and poetry) and also some for adults. She became interested in the study of Freudian psychology in the late 1970s and, as a result, published a number of books on this subject. She displayed the more light hearted side of her nature though with the publication of her eighth book of poems and gave it the humorous title I’m Too Young to be Seventy, which, no doubt, struck a chord amongst many other septuagenarians at that time! She was born in New Jersey in 1931 into reasonably comfortable surroundings. Her father was an accountant and Judith was able, in 1948, to go to Rutgers University in Newark, New Jersey to study history. She was an avid writer of poetry at this time and self-mockingly described her early efforts as being about a ‘nice Jewish girl from New Jersey trying to live a wicked life in Greenwich Village’. She married and had three sons and her boys featured on the pages of some her best children’s work known as the Alexander series which are short illustrated stories that sold in great numbers. One of these books is called Alexander and the Terrible, Horrible, No Good, Very Bad Day and appeared in 1972. It is “narrated” by a five year old boy who describes the anguish and the joys of living in a house with two brothers and his parents. It has sold in excess of two million copies. 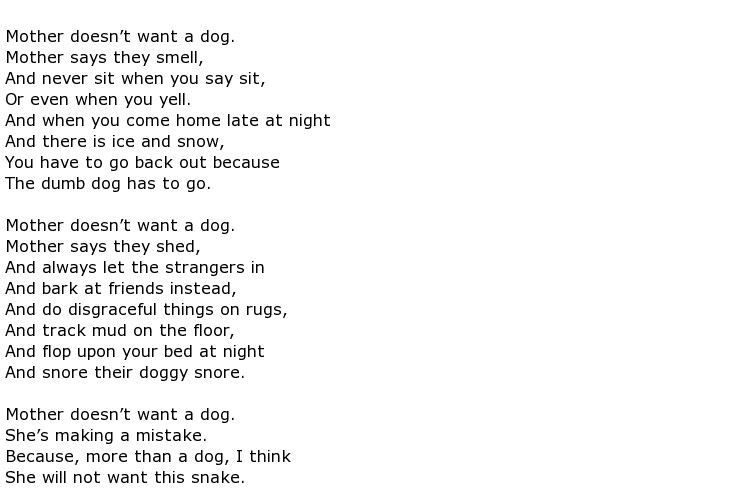 Another favourite piece of work is a story about the death of a beloved pet called The Tenth Good Thing About Barney. Sad Underwear is one of her collections of poems, written for children, that view every day feelings and experiences from the child’s point of view. Along with many other artists and writers in the 1960s Judith signed up to the anti-Vietnam war pledge known as the “Writers and Editors War Tax Protest”. This was in 1968 and signatories to this pledge were basically saying that they would withhold all taxes to the Federal Government in protest against the war. A lot of her poetry aimed at grownups appeared first in such publications as “New York” magazine and “Nova” before being published in two separate books: It’s Hard to be Hip Over Thirty came out in 1968 and then People & Other Aggravations in 1971. She then decided to move away from writing for children and enrolled on a course of study into Freudian psychology at the Washington Psychoanalytic Institute. This involved six long years of study between 1975 and 1981 and she remained there afterwards as a research graduate. Viorst used this training to produce a number of books on the subject and one of them made the New York Times bestsellers list in 1986 and was called Necessary Losses. Other titles include Grown-up Marriage and Imperfect Control. Perhaps surprisingly she also wrote two pieces of musical theatre, one of which was called Love & Shrimp in association with another writer called Shelly Markam. It was performed by the Ensemble Theater of Cincinnati during the spring of 1999. 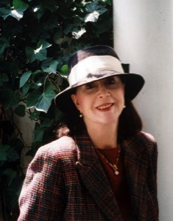 Judith Viorst has certainly had a prolific and varied writing career in novels, poetry and musicals along with being credited with hundreds of articles in major publications such as the New York Times, the Washington Post and she served for a time as contributing editor to Redbook magazine.